New Material Research Laboratory (NMRL) by world-renowned contemporary artist Hiroshi Sugimoto and architect Tomoyuki Sakakida. I wanted to see the MOA Museum of Art’s Japanese cultural treasures displayed in the best possible space with the best possible lighting. For me, that meant the same light that Ashikaga Yoshimasa saw in the Togudo at Jishō-ji Temple or that Sen no Rikyū, the tea master , saw in his Taian teahouse. To achieve this kind of premodern lighting in the museum interior, I insisted on the use of premodern materials: Yakusugi cedar, black plaster and tatami. The mission I set myself was to showcase the premodern inside a museum, which is itself a modern invention. After considerable experimentation, I overcame all the challenges and was able to include the latest optical technology in a very discreet, behind-the-scenes manner. I transformed what is oldest inside of me into something new. I have spent a great deal of time thinking about civilization’s origins. Since the dawn of civilization, humankind has used its hands to craft the most marvelous treasures. But can we still create masterpieces like the old days? Sometimes, I doubt it. Will the art of now be awarded National Treasure status one thousand years hence? When it comes to art, no one really knows if it advances or decays with time. Still, I saw a glimmer of hope. Lacquering was a technique that embodied the aesthetic of the Muromachi period. This medieval tradition lives on in the hands of Living National Treasure Kazumi Murose and I asked him to make a front door for the museum. His door, while resembling the paintings of Mark Rothko and the Negoro trays of the Tōdai-ji Temple, is different from both. It glows with a sheen and color well suited to a portal that will take people away from the present and back into premodern times. The door compels visitors to concentrate and to focus. Sugimoto was born in 1948 in Tokyo. Graduating from Rikkyo University in 1970 He moved to the United States to study photography at the Art Center College of Design in Los Angeles, then relocated to New York and has lived there since 1974. Sugimoto’s exquisite photographs, taken with a large-format camera with a clear concept in mind, are highly acclaimed internationally. He has received numerous awards including Hasselblad Foundation International Award in Photography in 2001, Premium Imperiale in 2009, and in the Officier dans l’Ordre des Arts et des Lettres (The Order of Arts and Letters) by French Government in 2013. In recent years, he has broadened his scope of activities to include writing and designing. In 2008, founded New Material Research Laboratory (NMRL), an architectural design company with architect Tomoyuki Sakaida. NMRL has undertaken many projects, including the interior design of the Izu Photo Museum (2009, Shizuoka) and London Gallery (2009, 2011, Tokyo). When I started planning the renovation, I visited the Hakone Museum of Art, the MOA Museum of Art’s sister museum , to get to know the works of art on display there and the spaces surrounding them. I tried to absorb founder Mokichi Okada’s philosophy of beauty and his words about “contributing to the elevation of culture and giving pleasure to people everywhere through beauty.” I decided that the best stance to take was to show respect for the MOA Museum of Art as it was. As such, the challenge I faced was to seek out a Japanese aesthetic that could add a contemporary feel to the older, attractively aged parts of the museum by using Japanese materials and techniques. The idea of making exhibition cases that resemble toko (alcoves) in a traditional Japanese tatami room came from the Hakone Museum of Art. The MOA Museum of Art opened in 1982 and is primarily made of Indian sandstone and Japanese marble. With the passage of time, the building has developed a rich texture and settled into its natural environment. We never wanted to simply replace something old with something new. Our aim was to get the museum’s new elements and existing elements to coexist symbiotically, so that the museum could be reborn and retain the history it has built up. We kept the Indian sandstone of the exterior walls which extends from the outdoor plaza to the indoor entrance hall, while adding contemporary elements such as the entrance door and slope, and the background of the white walls and ceiling, to create highly visible contrasts of new versus old. To make the view over the sea off Atami from the main lobby even more attractive, we lowered the height of the ceiling as you get closer to the windows so that the plain white walls and ceiling form a neat frame around the sea. I planned all the important public areas—the entrance hall, the lobby, the exhibition galleries—in an integrated way; even the museum shop and café area are based on the same principles and concept. I configured the art galleries so that the wonderful artworks in the collection could be shown to even greater advantage. I inserted black plaster walls in the middle of the gallery spaces and used low- reflection glass for the exhibition cases. The Tea-leaf Jar with a Design of Wisteria (a Designated National Treasure) has been placed in a special black plaster-covered space of its own to make it the focus of the visit. The addition of low-reflection walls and the dedicated room for the Tea-leaf Jar breaks up the space, creating a variety of different settings and giving a sense of sequentiality to the exhibition space. 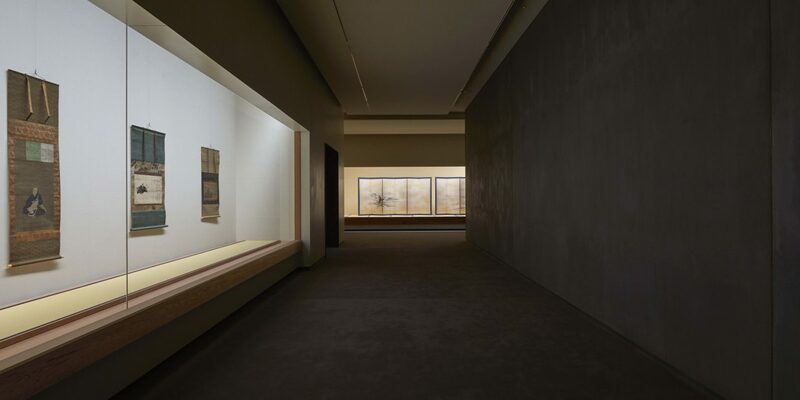 With their Gyōjasugi cedar frames, low-reflection glass and tatami floors, the exhibition cases we installed are designed to evoke traditional toko alcoves. The exhibition cases which incorporate Yakusugi cedar into their seismic isolation bases are another highlight. In the other exhibition galleries we created a new exhibition space for contemporary art, enabling the museum to accommodate a broad range of content, from traditional Japanese art to contemporary art. The New Material Research Laboratory which Hiroshi Sugimoto and I set up is based on the idea that traditional methods and materials are actually the most innovative ones. We believe that traditional Japanese techniques, building methods and materials should not be treated as a relic of the past but as a resource to hand down to future generations. For the MOA Museum of Art renovation, our main materials were Japanese conifers (Yakusugi, Gyōjasugi, Yoshino Hinoki etc. ), low-fired floor tiles, plaster, mud walls and metal fittings with the patina of age—all of which play a key role in composing the space. The materials used for most contemporary building are so focused on rational criteria that one loses just as much as one gains with them. Japanese conifer woods, and plaster and tiles which retain the trace of the craftsman’s hand, possess an actuality which standardized contemporary materials cannot express. Our method is to combine these old materials with contemporary touches so that the old and the present-day coexist. Adding something new to an existing structure is always a matter of trial and error. Our approach is to respect and to learn from the existing building and only then to design new elements for it. The ideals of the museum’s founder and the museum itself both served as valuable signposts for our redesign. Sakakida was born in 1976 in Shiga Prefecture. In 2001, he completed the master’s program at the Kyoto Institute of Technology’s Graduate School of Science and Technology and joined Nihon Sekkei, Inc. 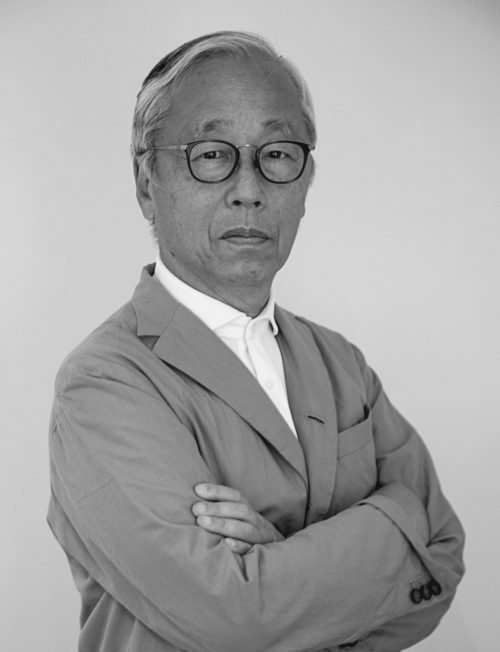 In 2003, he established Sakaida Tomoyuki Design Office, and in 2008, founded an architect firm, New Materials Research Laboratory, with contemporary artist, Hiroshi Sugimoto. 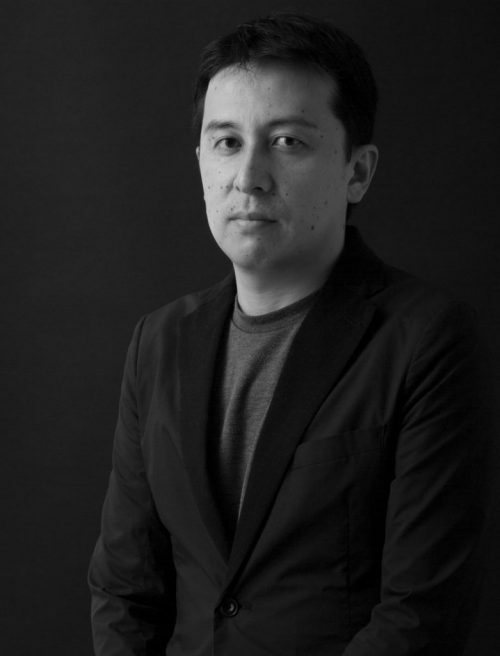 As a partner architect of Sugimoto, he has designed many projects, including the Izu Photo Museum (2009, Shizuoka); London Gallery (2009, 2011, Tokyo); Christie’s Tokyo Office (2012, Tokyo); OAK Omotesando, Sahsya Kanetanaka (2013 Tokyo); Glass Tea House (2014 Venice); and Isetan Salone (2015 Tokyo). A first-class registered architect, he is the director of New Material Research Laboratory. He is also currently teaching at the Kyoto University of Art and Design.